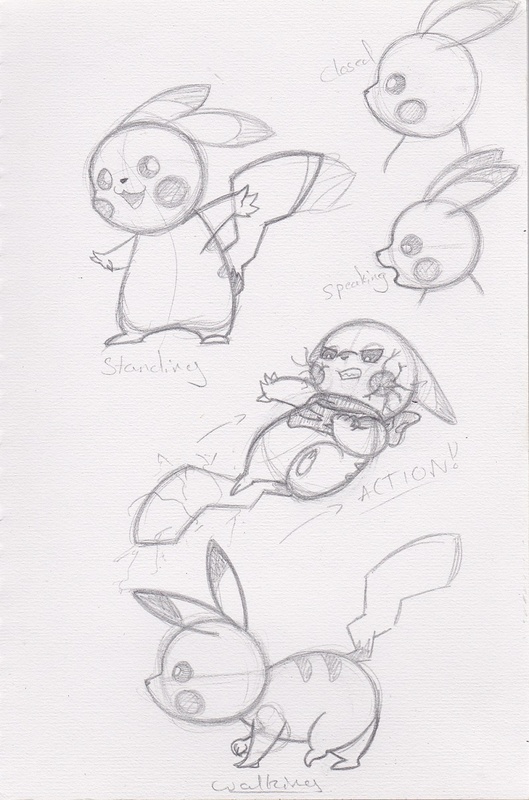 Hey, I really like your "action" pose for pikachu! Unfortunately, I'm practically dead in my chair right now, but I can say this much: it looks very active. There's a definite flow of action with the pose, and the little electrical touches really help make it just stand out more. I might have something better after I've gotten some sleep and can see it again with a clearer mind. Okay, now that I've slept some, I'm a bit more refreshed. Still, my judgement remains the same; your "action" pose is really dynamic and shows a lot of motion, even if it's just a "leaping forward/back" sort of situation! Also, upon looking back again, I also like you "standing" pose. Pikachu seems really... stretchy? Can't think of a better way to put it. Good work! lol i remember in the anime when pikachu deformed himself to look like other pokemon, he is indeed very "stretchy" hahaha! nice nice :D keep going!